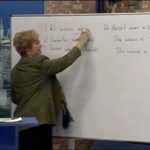 Home \ Learning \ English lessons for beginners – Lesson 13: What are you wearing? English lessons for beginners – Lesson 13: What are you wearing? Beginner Levels – Lesson 13: What are you wearing? English lessons for beginners – Lesson 12: How is the weather?